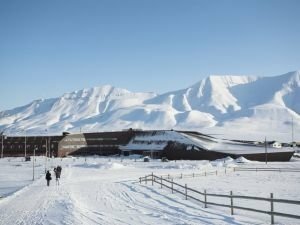 Humanity's most precious data is stored in a vault buried in a mountain in the cold, desolate, Norwegian archipelago of Svalbard. Newest materials along with materials on Humanity. Find out about mysteries, stories and convenient advice in regards to Humanity. See the newest articles and publications in regards to Humanity. The world is developing at a rapid pace. Prognoses by the World Economic Forum about how it'll look like in 15 years are beyond mind blowing. The company has announced that the specialists in its IT department are working on creating a kill switch to stop artificial intelligence if it were to ever threaten humans in the future. According to Australian virologist prof. Frank Fenner, there won't be a single human left alive in 100 years. The scientist points to the Earth's overpopulation and climate changes as reasons for humanity's disappearance. Modern-day genius Stephen Hawking theorizes that if extraterrestrial intelligence exists on other planets, it is highly likely for these aliens to destroy the human race in their efforts to colonize Earth. The History of Mankind is a Weave of Cycles? One of the popular theories of German philosopher Georg Wilhelm Friedrich Hegel claims that the history of mankind repeats in a constant cycle and that people don't always manage to learn from their mistakes. Based on prophecies left to us by the Toltecs, with the coming of the 6th sun will also come the moment when people will realize who they really are. According to these, humans are gods who are dreaming that they are not gods. According to the author, people were and are part of the Prime Creator. They were to become creators of their own, to create with their gift of thought, and everything they made was to be given back to the deity and thus become part of the one whole. According to the scientist, humans and other superorganisms on Earth carry in them the seeds of their own self-destruction and it's only a matter of time before humanity becomes the cause and the victim of another mass extinction. Stephen Hawking says that colonizing other planets is a type of life insurance for the human race. It's the only way for humans to survive as a species in the Universe. As one of the most probable ways humanity could end scientists list a global pandemic that modern science cannot handle. A pandemic takes the top spot on the list because of the ever more globalized world we live in.